Diving Into Cancer Metabolism: Is It Possible To Starve Cancer? Cancer metabolism is the process of how cancer cells process nutrients and use them for energy. It is well known that cancer metabolism is a deviation from normal cell metabolism. When becoming cancerous, cells switch their metabolism from a normal utilization of glucose and fats (glucose and fatty acid oxidation) to an abnormal, less efficient but more rapid, utilization of glucose. Glycolysis in itself doesn’t cause cancer per se, but it is a necessary consequence (i.e. necessary for cancer to develop). For example, our immune cells, red blood cells, cells lining the gut, and fast twitch muscle fibers, are all glycolytic, and they aren’t cancerous. They are glycolytic in order to rapidly proliferate (immune cells in response to infection, or gut cells to continuously be an effective barrier in the stomach), or in order to provide rapid energy when oxygen isn’t available in an adequate amount of time (e.g. sprinting or high intensity exercise which requires rapid energy where you aren’t able to get oxygen to the cells to make energy in such a short time frame). 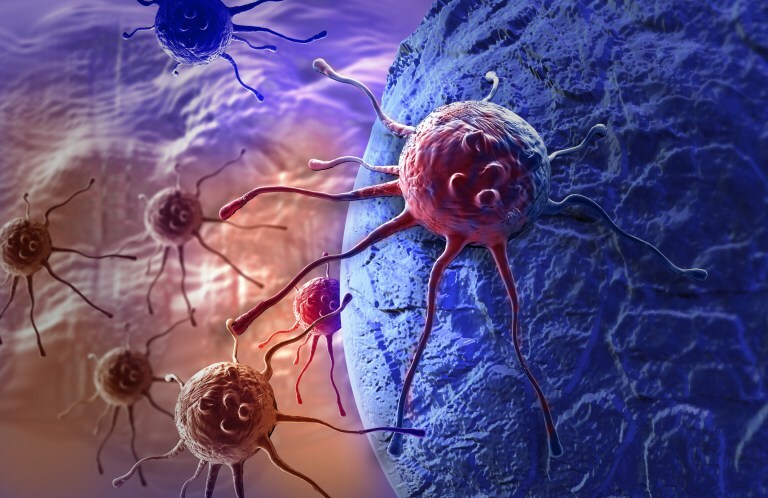 Cancer cells want to reproduce and grow, and to avoid death. Glycolysis is therefore a mechanism to provide energy in a rapid enough manner in order to proliferate quickly, as well as provide building blocks for its new cells (this is called glutaminolysis, which is a pathway that is activated in parallel with glycolysis in cancer). Approximately 95% of cancer is caused by epigenetic factors (i.e. your environment). Of this, ~35% is due to diet. To me, this is a huge sign. If diet can induce cancer than diet can potentially cure cancer. It is well known that you can alter your metabolism based on the foods you eat. For example, a high carbohydrate diet will result in chronic insulin release which promotes fat storage at the expense of fat utilization. This has all sorts of signaling consequences. For example, chronically elevated levels of insulin thus can lead to “insulin resistance” and thus metabolic syndrome, type 2 diabetes, and other potential conditions such as heart disease (and as I’ll make the case, potentially cancer). In essence, you switch your body to rely primarily on glucose, as opposed to fat. And this has consequences. Your body needs a certain amount of stress in order to operate efficiently, and to survive and grow. Sometimes this is referred to as hormesis. Think of exercising. Our muscles grow stronger when we “stress” them. We are, what renowned statistician Nassim Taleb refers to as, “antifragile”. We are the opposite of fragile. We grow when we are exposed to stress (in reasonable amounts). This is present in virtually every aspect of our body. A small amount of “stress” is good: and let me clarify, I’m referring to acute stress, not chronic stress. Chronic stress is a recipe for disaster (you wouldn’t lift weights 24/7 would you? Your muscles couldn’t handle it…). Even our cells need some stress to ensure proper functioning. On a cellular level, there is a communication pathway (a signaling pathway) that actively works to prevent tumor formation. On the one hand, it is activated by mechanisms not yet understood (the regulation of the cell “skeleton” and others), but what we do know is that it is also regulated by the body’s “energy gauge”. When we experience some metabolic stress (from lack of sugar), this pathway is active and works properly. When we are “full”, this pathway is suppressed, which leads to the expression of cancer genes (oncogenes), and the initiation of cancer metabolism. As with all things, both too much and too little energy might not be a good thing (for example, too much energy is a good thing for fighting infections, since your immune cells need energy to combat the infection). But, as described above, it appears they aren’t equal: too much energy might be more harmful than too little energy, at least in the context of cancer development and cancer metabolism. Thus, if sugar consumption is not beneficial because it leads to a consistent state of “being full”, with “too much” energy, then perhaps this suggests that we need to take a break every now and then from the consumption of sugar. In essence, we need a little bit of metabolic “stress”. For example, perhaps switching to a low carb diet (such as the Paleo Diet or the Ketogenic diet), fasting, or switching the fuel source of the body to a substance that does not elevate insulin, such as ketones,2 may be beneficial. Furthermore, evidence exists that lowering blood glucose may be beneficial as a cancer therapy. Type II diabetes patients, taking medications (specifically, metformin) to reduce blood glucose, generally get less cancer. Additionally, animal models on a caloric restricted diet also appears to improve cancer outcomes (since a primary component diets are glucose, caloric restricted diets are lower in glucose). Of course, this is somewhat simplistic, and there are many factors. For example, there are a small amount of cancers that actually become more aggressive when “starved”. But what is exciting is that all this scientific evidence is pointing in the direction that dietary intervention may be able to cure or at the very least ameliorate symptoms of diseases like cancer. Glycolysis is usually activated when there is low oxygen (since normal glucose oxidation requires oxygen to be present to make energy): either there is low oxygen in the environment (hypoxia), or oxygen isn’t able to diffuse to the tissues in a fast enough manner (the sprinter example as mentioned above). What’s odd is that, in cancer, this switch to glycolysis occurs even when there is adequate oxygen present. There is very promising research by Dr. Dominic D’Agostino utilizing ketones and hyperbaric oxygen as cancer therapy to starve cancer. Ketones are a favorable energy source for cells in the body, because no energy is required to extract energy. In normal glucose utilizing cells, energy has to be used to breakdown the sugar in order to extract more energy. Cells actually preferentially utilize ketones when both glucose and ketones are present in the bloodstream. Ketones are the products of beta-oxidation of fatty acids. They are the primary fuel of the brain during starvation. What’s more interesting? Cancer cells can’t be fueled by ketones. ⟵Why Do We Sleep? Why Is It Important and How Do We Improve It?